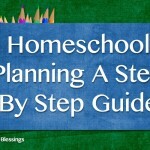 Welcome back to Homeschool Planning A Step By Step Guide today is day 5 of our 6 day series. 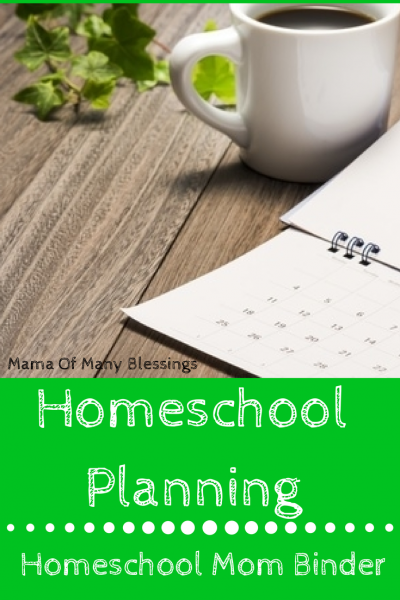 So far I have shared how to decide how many days will be in your homeschool year, how to schedule it all, how to organize it all, and calendar time / calendar notebooks. 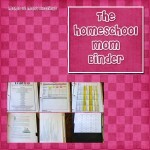 Today’s topic is one of my viewers favorite The Homeschool Mom Binder. 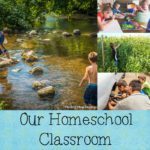 Out of all of the photos in my original planning post my homeschool moms binder was by far the favorite. 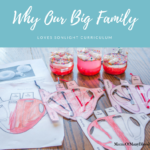 So I thought it was a perfect topic to discuss more in depth about. 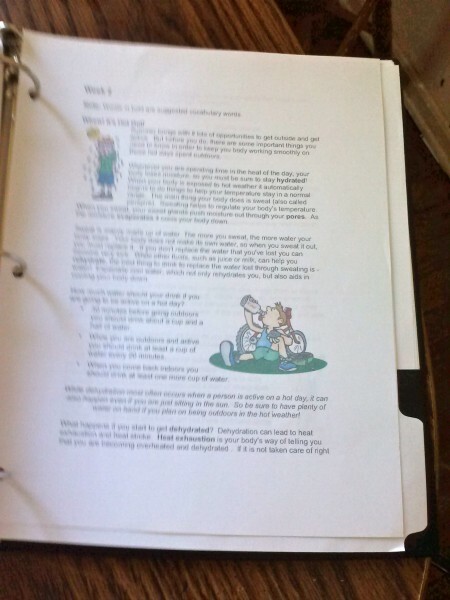 I have a special binder that is another VITAL part to our homeschool. It may seem like just a 3 ring binder, but to me it is so much more! 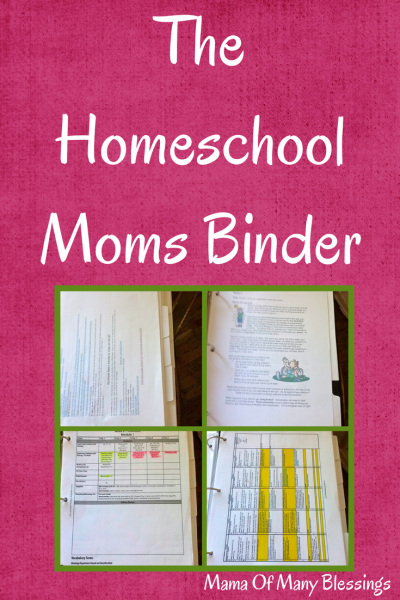 The Homeschool Moms Binder was made when I was having a hard time figuring out how to store all the different teachers manuals, etc.. that I needed on a daily basis for our school. I started out by adding lots of page dividers into my binder however many different manuals I have for the upcoming year is how many dividers I add. Once the dividers are in place I punch holes into each of my pages I wanted to added to my binder. 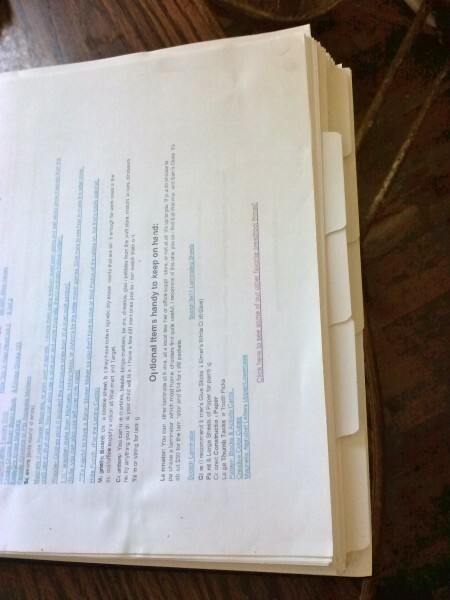 Lastly I added each different manual or guide into each section and then label the binders. 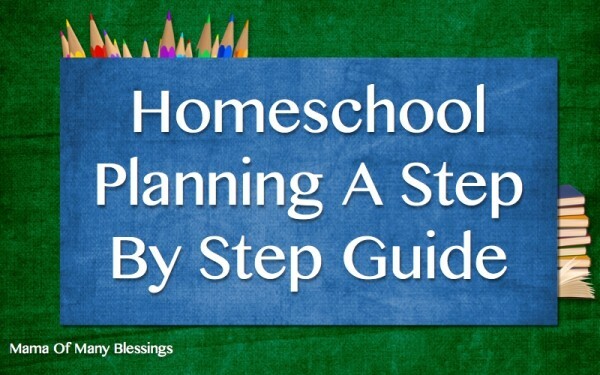 Because I have done this I now have most of my teachers guides, schedules, calendars, etc… All in one location so it can be easily found each day when it is needed. On the front and back covers on the binder there are 2 pockets, so in each of the 4 pockets I put misc. workpages that don’t really have another place and wouldn’t be worth making another folder for. Each year my binder contains different things depending on what we are using for the year for each kids. Some of the items that were in the binder this particular year are. 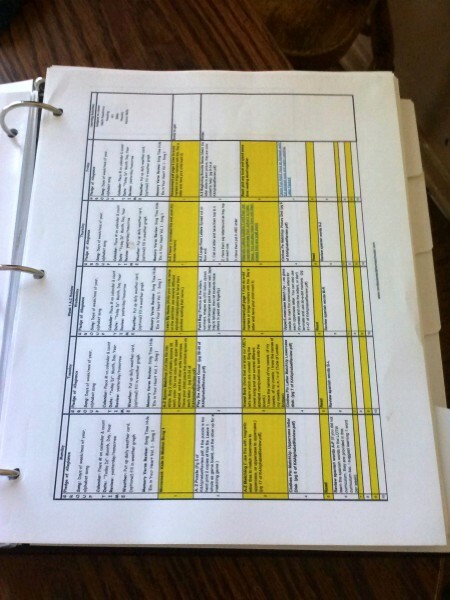 All of the pages with a view of the page dividers. Letter Of The Week teachers guide. Serena’s Apoligia Biology schedule. 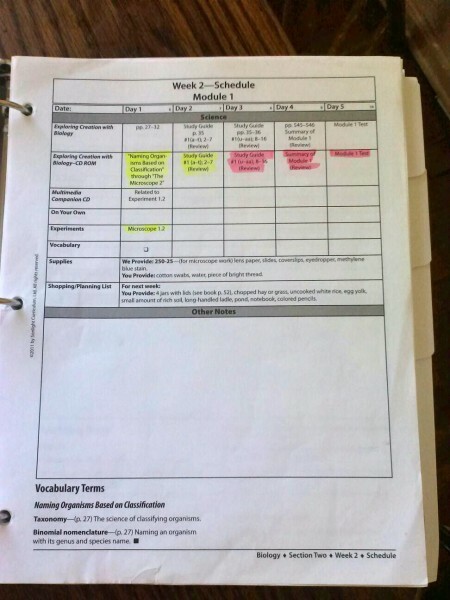 She also kept a copy of the schedule in her own binder. 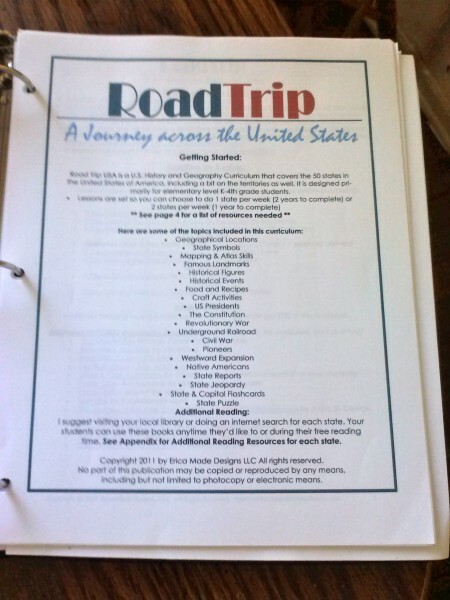 Road Trip USA teachers guide. Unit Studies guides are kept inside, each gets it’s own section. How do you keep all of your teachers manuals, calendars, etc all in 1 spot? 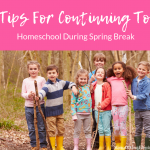 Leave a comment or link below and let me know. 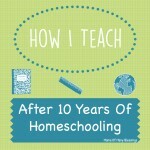 Homeschool Planning ~ How Many Days In Your Homeschool Year?